Want to Make San Carlos Even Better? San Carlos has many wonderful things about it. It’s difficult to point to a single place or event that sums up the San Carlos experience. In my humble opinion, it is the residents who allow San Carlos to shine. I have always said that San Carlos stands out because of the thousands of citizens who volunteer their time and ingenuity each year. Hometown Days, Concert in the Park, Christmas Tree Lane, the Art & Wine Festival, Walk-A-Jog, San Carlos Educational Foundation, the Parks and Recreation Foundation and countless other events and organizations do not just suddenly happen. They are the product of recognizing a need, acting on it, and bringing it to life. For me, San Carlos Treasure Hunters was a worthwhile contribution. We’ve had 850 families go through SCTH over the last five years and are looking forward to this year’s event in October. Our first event did not get off the ground easily. We initially tried to get it through the Parks and Recreation Department, but the City of San Carlos was unable to help us due to a variety of legal road blocks. We tried to get help from other community organizations, which ultimately proved to be difficult as well. At the end of the day, I quickly realized that the only way SCTH was going to get off the ground was to simply do it myself….and that’s exactly what ended up happening. Whether your idea is for an annual event, a fundraiser or an organization, we would love to hear from you. Please feel free to leave a short synopsis of your idea in the comments section below. Alternatively, if you would rather email us with the idea we are happy for you to do that as well. 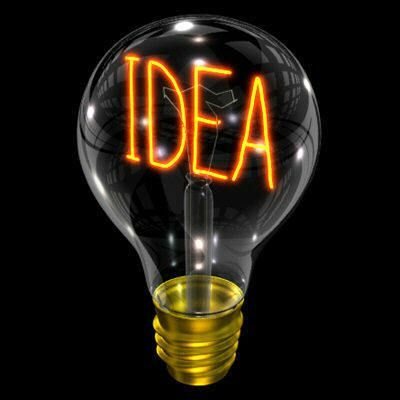 I know there are some great ideas out there and we will look forward to helping you make them a reality. This is a great idea and how generous of you to offer. I know there are others in the community that would be willing to help out a great cause in any way they can, yours truly included. On behalf of the endless list of events, volunteers and business tidbits you’ve promoted for me over the years, a hearty THANKS! you are part of the nucleus of this community and we appreciate your dedication.